The festive season is upon us, and so are all the calorie-laden goodies. ‘A moment on the lips, a lifetime on the hips’. But with today’s medical advances, holiday bulge can soon become a problem of the past. Surely nothing beats a healthy lifestyle and a regular exercise routine, but what if I told you I lost 47 cm in 90 minutes this weekend? That too, lying flat on a cushy bed while having a very relaxing massage? Read on! I tried out the Shrinking Violet treatment at Jenny Rose Hair & Beauty Salon last Saturday, and am slowly gaining confidence I can finally splurge on that form-fitting dress for Christmas! Jenny Rose Hair & Beauty Salon is located on the ground floor of Control Tower, Motor City (Dubai). Owned and operated by Australian-born Jenny Rose herself, the dynamic team have already made waves in the media within this one year since starting operations. Jenny Rose Hair & Beauty offers a range of specialized Elemis facials and body massages in their spa section, and have recently added the much talked about Shrinking Violet Wrap to their menu. What is the Shrinking Violet Wrap? ‘Shrinking Violet’ is a scientific formulation created to reduce overall body fat. Made of naturally derived soya bean oil, the active ingredient in the formula is Phospholipid. Phospholipid is found in fat-dissolving injections including liposuction treatments, and works by penetrating the skin’s middle dermis layer. When the ‘Shrinking Violet’ formula is rubbed into the skin, and then wrapped, the body heat helps the Phospholipid to act like a fat magnet . Fat cells are converted to fatty acids, and are expelled from the body via the lymphatic drainage. Simply put think of a fat cell as a grape before treatment, and a raisin after treatment. Prior to booking a Shrinking Violet treatment, I was told to stay off caffeine 24 hours prior, and drink plenty of fluids. I was also told to have a light lunch 3 hours before the treatment, and nothing after that. My Shrinking Violet appointment was at 3 pm, and I dutifully cleaned up a chicken sandwich for brunch before noon. I am used to drinking plenty of water, and would have had about a liter before the treatment. This was my very first visit to Jenny Rose Hair & Beauty Salon. Tucked away in the friendly neighborhood of Motor City, Jenny Rose has built quite a reputation for itself over a short one year stint, and has a steady stream of regulars who dutifully book in for appointments to avoid the rush. I was greeted at the reception area by three smiling ladies, and after my brief introduction, it was the lovely Bethan who took me aside and showed me around. Bethan is the Shrinking Violet expert at Jenny Rose Hair & Beauty Salon. A Londoner who has worked her way through the big names in the beauty industry as a massage therapist in Paris, Abu Dhabi and now at Jenny Rose Dubai, her slim frame can be deceptive of how good a massage she is capable of giving! Bethan handed over a disclosure form for me to fill in. It had a list of questions asking about general health issues, past surgeries and allergies, particularly to soya-bean. Thankfully I was negative on all. Bethan then went on to explain the after-care procedures following the Shrinking Violet treatment. I was to avoid caffeine for yet another 24 hours (not that I drink much anyway). I was to avoid heavy-duty sweaty exercises as well as bathing, as this would just let all the treatment right out of the pores. She also said I could expect far more frequent visits to the loo in the following day or two as my body flushes out toxins and fat (sounds pretty good to me!). The room is spacious, and well lit and I love the salon’s color scheme of deep purple and grey. On the treatment bed sits the tools of the Shrinking Violet trade: a bottle of the Tibby Olivier Shrinking Violet oil, a large roll of cling wrap, and a measuring tape. Now here’s the rather mortifying part… I had to strip down to my underwear (oh I got to wear their rather flimsy disposable undie!) and stand on a mat. Bethan got to work with the measuring tape and started recording my stats. She measured my chest, midriff, waist, hips, thighs, knees, calves and upper arms. Lots of numbers there! As she did the measuring, Bethan marked out the areas with a washable ink pen so that when re-measured, we do the exact same areas. Next, Bethan expertly smeared the Shrinking Violet oil all over my body, concentrating more on the jiggly bits. Bethan is a true professional, and even in my bare minimals, she put me at ease saying this was just another day at work for her. The oil itself smells divine! Rather surprising as given it is soya-based, I was expecting it to be rather foul. Bethan explained the formula has been infused with hydrating, sleep-inducing lavender essential oils. After the smearing, my well-oiled body was wrapped up all the way from my chest down (the legs and arms got their individual rounds). Stiff as a penguin, I felt like a spa version of Lady Gaga and struggled to lie flat on the bed. Once I slid under the covers, Bethan dimmed down the lights. The spa rooms at Jenny Rose feature starlit ceilings which I think is a lovely aesthetic touch. With soothing Zen-like temple sounds ringing in the background, Bethan proceeded to give my feet, shoulders and head a firm yet gently soothing massage (these were, after all, the only bodily parts exposed at this stage for a massage!). Bethan used the very fragrant Elemis Patchouli Body Oil for the massage. She tells me it has wonderful skin hydrating properties, and the scent is excellent for reducing overall stress and fatigue. Cocooned under the warm sheets and wrapped with clig film, the eminent heat helped the Shrinking Violet oil work its magic. 90 minutes was up far too soon, and Bethan expertly slit open the cling-film in under a minute. I was standing on the mat once again, and Bethan got busy with the measuring tape, taking care to measure the areas she had marked on my body with pen. I was asked to rub in any excess oil onto my body, and once I changed back into my clothes, I was served warm ginger tea with a little plate of healthy bites. While I relaxed over hot ginger tea, Bethan was doing the before-after measurement calculations. Bethan tells me so far, the highest centimeter loss in one session at Jenny Rose has been 57 cm. She said she gets super excited seeing the results, and I couldn’t wait to see how I fared. And the results are out: I lost a total of 47 cm! I was super hyped! And Bethan tells me I could expect a little more loss in the next 24 hours if I follow her after-care tips carefully. Interestingly, I lost the most centimeters from around my thighs. This was followed by my calves and then the waist. Post-treatment, I didn’t look visibly thinner, but definitely felt less bloated. The following morning, my husband commented I was looking a few kilos lighter, although the scales have said otherwise. I kept up with my water intake, and had quite a few rushed visits to the loo in the following 24 hours. I even got up that night, but didn’t mind as I kept telling myself this is all a great detox and my body is getting active at flushing out toxins and fat. The Shrinking Violet wrap is therefore a great treatment for those wanting a quick-fix detox, and the slightly slimmer new me felt just that bit more confident at getting ‘Red Carpet Ready’ as the Shrinking Violet ad suggests. To see optimal results, I would have to go back for a second session within 72 hours, and follow it up with 2 monthly visits. Seeing the dramatic measured results, I feel very tempted at doing so! How much does the Shrinking Violet Wrap cost? Each session of the Shrinking Violet treatment at Jenny Rose costs AED 650 (a total of four sessions is AED 2,600). For more details on the Shrinking Violet Wrap, and other beauty treatments available at Jenny Rose Hair & Beauty Salon, get in touch with them on 04 551 6620, and you can also visit their website. 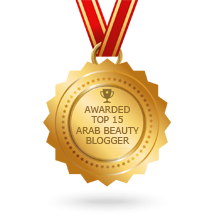 Posted in Health & Wellness, Product Reviews, Spa Treatments and tagged Beauty, Body Wrap, dubai, Health, Shrinking Violet, Shrinking Violet Review, spa, weight loss. Bookmark the permalink.